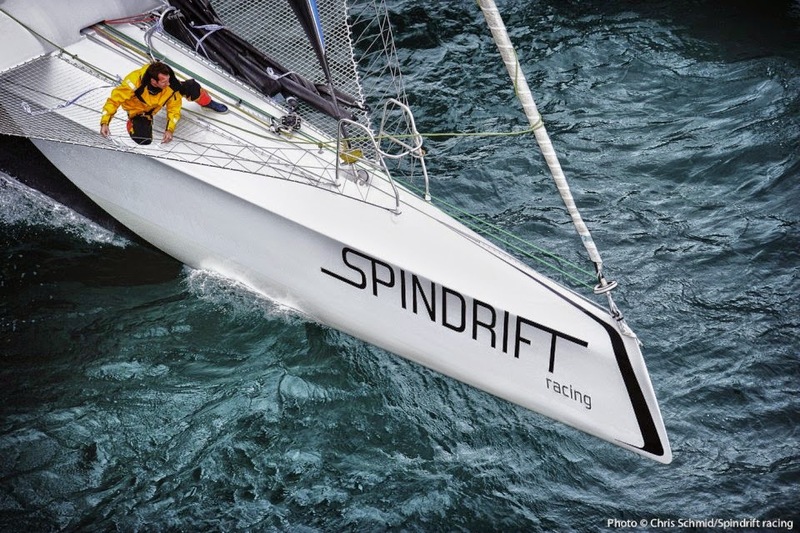 After re-fitting the maxi-trimaran Spindrift 2 (formerly the record-breaking Banque Populaire V), the Spindrift racing team is gaining momentum. The 2013 program, designed and based around Dona Bertarelli and Yann Guichard, will marry regattas, ocean races and ocean records for the next four seasons. Spindrift 2 is currently at the CDK boatyard in Lorient for a complete check-up and will be launched in its new livery in early July. The first training session is scheduled so that Spindrift 2 does not break stride before the start of the Fastnet Race from Cowes on August 11. He holds the record for the 600-mile race in the English Channel and the Irish Sea, winning in 1 day 8 hours and 48 minutes at an average speed of 18.1 knots (approved WSSRC record) in August 2011. “This year will be dedicated to discovering the boat and familiarising ourselves with the size of the machine so we can determine what technical developments it is possible to make for next season.” Yann Guichard said. 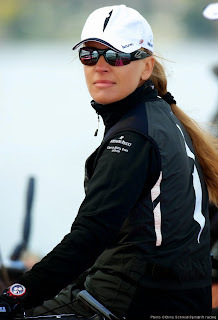 Competing since 2007 on the Decision 35 circuit on board Ladycat, Dona Bertarelli continues her quest for the Geneva Holy Grail after winning the Bol d’Or in 2010, the first victory by a woman skipper (and crew of mostly women), since creation of the event in 1939! Third in the Vulcain Trophy last year behind Realstone Sailing and Alinghi, the crew’s ambition is for more of the same in 2013 and to fight for the podium in the fleet of twelve one-design catamarans. Eight races are scheduled from mid-May until the Bol d’Or in mid-June, then in September on Lake Geneva. This season, the skippers of MOD70 trimarans will compete in two major ocean races: the Route des Princes around Europe and the Transat Jacques Vabre double-hander in November. The tour of Western Europe from June 6 to June 30 stops in Valencia (Spain), Lisbon (Portugal), Dublin (Ireland), Plymouth (England) and Roscoff (Brittany) and is for multihulls over 50 feet, divided into three classes. To test the winter check-up, Spindrift will be launched around April 17, before heading for a tour of the Belle Isle, leaving from La Trinité-sur-Mer on May 4. At the end of the season, Yann Guichard will leave from Le Havre for Brazil (Itajai) on the Transat Jacques Vabre two-hander. Spindrift racing is a racing team founded in 2011 by Dona Bertarelli and Yann Guichard, which runs three boats for three complementary projects: the Decision 35 Ladycat, the monotype trimaran MOD70 Spindrift and 40 metre maxi-trimaran, Spindrift 2.